Is Starting a Chorus Feasible? People who experience a Giving Voice Chorus concert or rehearsal often imagine starting a chorus in their own community. Is your community ready to develop and sustain such a chorus? If so, what organization is best equipped to host it? In this toolkit section, we identify planning considerations specific to our program. You may want to consult other free resources (managementhelp.org, help4nonprofits.com) to learn more about feasibility assessments and program planning in general. “Giving Voice Chorus” is a registered trademark of Giving Voice Initiative, the nonprofit corporation. At present, Giving Voice Initiative is not authorizing other organizations to use the phrase “Giving Voice Chorus” in association with the names of their choruses. If you’ve heard the expression about getting “the right people on the bus,” then you know this step must come before you figure out where to drive the bus. In other words, “first who, then what.” Typically, a few passionate people decide how feasible it is to start a chorus and more people join in along the way. Be selective. Involve people who are deeply committed to building a high-quality and effective chorus program that brings joy, well-being, purpose and community understanding to people with dementia and their care partners. Demographic data tell us that until there is a substantial breakthrough in the prevention or treatment of Alzheimer’s disease, we will see a steady increase in the number of people living with dementia over the next 30 years. At Giving Voice, we’ve seen that many people with dementia, as well as their care partners and family members, yearn for opportunities to engage socially, have fun together, and contribute to their communities. The interest in a dementia-friendly chorus program could likely flourish in every community. Nonetheless, circumstances particular to your community may make it more difficult—and perhaps not feasible—to develop and sustain a chorus. For example, existing programs may already provide adequate creative outlets. Or cultural biases may make it so difficult for people with dementia to be open about their disease that the community won’t be ready to build a program. We have found that we usually need at least 25 singers to create the right environment for a satisfying musical experience and good opportunities for socializing. We strongly recommend that each prospective host organization conduct a realistic, information-based assessment of the need for a local chorus. The process need not be complex or expensive, but it should rely on input from multiple and diverse sources to provide an accurate gauge of local interest. It might be as simple as talking with leaders of local institutions, such as churches, senior centers, care partner support groups, adult day centers, aging consortiums, and Meals On Wheels programs, that have relationships with people with Alzheimer’s or other dementias. Use an established 501(c)(3) organization. Having an established 501(c)(3) organization host the chorus will often mean the chorus program can start up more quickly and foster sustainability from the get-go. Its 501(c)(3) status allows the organization to receive tax deductible contributions and foundation grants, and it likely has accounting systems, a track record, relationships in your community, and maybe some funds to get things started. Resist the temptation to use a residential care facility. 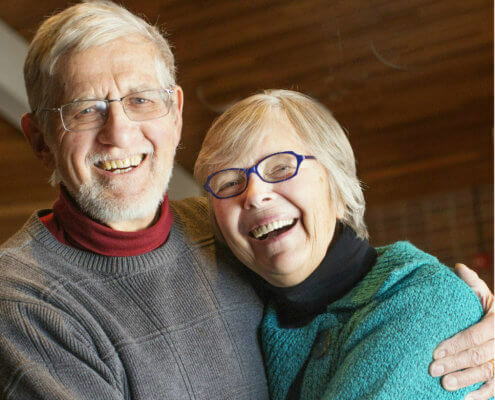 One essential objective of a Giving Voice Chorus is to provide realistic and positive opportunities for people with dementia to socialize comfortably with others. In our experience, people with dementia who live in their own homes don’t have as many social opportunities as do residents of senior housing developments, assisted living facilities, and memory care residences. To reach people living outside of care facilities, we recommend that the host organization be an Alzheimer’s Association, a community arts or music organization, a church, a senior center, a YMCA, or an aging or caregiver support organization (e.g., senior services, home health care, health/wellness organizations), or another type of non-residential community-based organization. Commit to being inclusive. The first Giving Voice Choruses have succeeded by understanding, honoring, and embracing all people, regardless of their abilities, their differences, their backgrounds, or their present circumstances. The host organization should reflect this attitude and be committed to nurturing it. The intent is to welcome and embrace persons early in the disease process and as long as they are able to participate. Be open to collaboration. The success of our chorus has been possible only with the assistance of numerous collaborators that have provided facilities, music and Alzheimer’s expertise, access to singers and volunteers, research capabilities, and much more. The host organization should be open to collaborating with partners that build strength and sustainability. Have a diverse leadership team. Successful development and operation of a chorus requires active involvement by people from areas such as aging, health care, music, dementia, caregiving, and community engagement. Include members of multiple ethnic and cultural communities on the lead team to get essential perspectives about dementia and people touched by it. Finding the right host organization is critical to long-term success. It can be a challenge, so we urge you to take the time to find a great host, not just an adequate host. The toolkit and other information on this site provide a solid understanding of both the work and the rewards of being a host organization. As you’d expect, planning and operating a chorus requires resources like funding and dedicated volunteers to lead the assessment and planning process, a qualified music director and accompanist, an administrative infrastructure, access to people in early and mid stage dementia and their care partners, and more volunteers to both sing and assist with rehearsal and concert logistics. You also need access to expertise about dementia and music, a place to rehearse every week, a place to perform, and financial support. A realistic review of potential funders, volunteers, and in-kind donors is a key element of the feasibility assessment. Selecting a host organization that can readily provide operating dollars will give you a head start. In the early stages, you will most likely rely on donated services, supplies, equipment, and facilities. Over the long term, however, plan to pay for a growing portion of the personnel, facilities, and other operating costs of the program. Sample budgets provided in the Finances section of this toolkit will help you anticipate future budget needs. When you’ve identified the right host organization and completed the assessment process with confidence, it’s time to plan the program in detail. You have already identified what resources are needed and where they might be found. But for internal management purposes, as well as fundraising and external communications, you will want to have a written business plan. How will we inspire and recruit persons with dementia to sing? Who has ultimate responsibility for the program? What geographic area do we serve? What personnel—paid or volunteer—will be required? What does the revenue and expense statement look like? How will we pay for the program? Where will we conduct the program? Who will handle the accounting and other administrative aspects of the program? How will we communicate with singers, volunteers, donors and potential donors, the media, and the general public? There is a wealth of online information about nonprofit business planning, including this resource from the Council of Nonprofits. The remaining toolkit information is designed to help you plan key program components, particularly those unique to a chorus for people with dementia and their care partners. Can we use the words “Giving Voice” in the name of our chorus? “Giving Voice Chorus” is a registered trademark of GVI. At this time, GVI has no process in place for licensing the trademark for use by others. How many singers must we have to move forward with starting a chorus? There is no magic number of voices required for a chorus. It’s important that the participants enjoy the rehearsals and concerts and they feel good about what they are creating. Don’t forget that in addition to singers with dementia and their care partners, singing volunteers are also an important part of every chorus. We recommend that you try for at least 25 singers including volunteers, care givers, and individuals with dementia. If the chorus is too small, the participants will feel too exposed in singing their parts. What things should we consider if we want our local assisted living or nursing home to be the host organization for the chorus rehearsals and concerts? GVI’s priority is to meet the needs of people with Alzheimer’s who live in the community, outside of care facilities, because they generally have fewer opportunities to socialize and be creative. Please review the Toolkit’s Initial Assessment and Planning section carefully. You may determine that the nursing home is the best available host organization and offers the best available facilities. Is GVI available to advise us as we plan our chorus? Is there a way for us to communicate with other choruses like ours, to share experiences and exchange ideas? Currently, GVI does not have the staff to provide consulting or advisory services to startup choruses. We developed the Toolkit to provide useful information and extend its reach via this website. Please use the Forum to exchange questions and ideas with others.